Julia Childs owes her famous career, she has said, to her first French meal. It made an impression on her that truly changed her life, and that of millions of others, no exaggeration. And that meal? Roast duck. Julia lived to be 92; so, folks, we’ve been robbed. 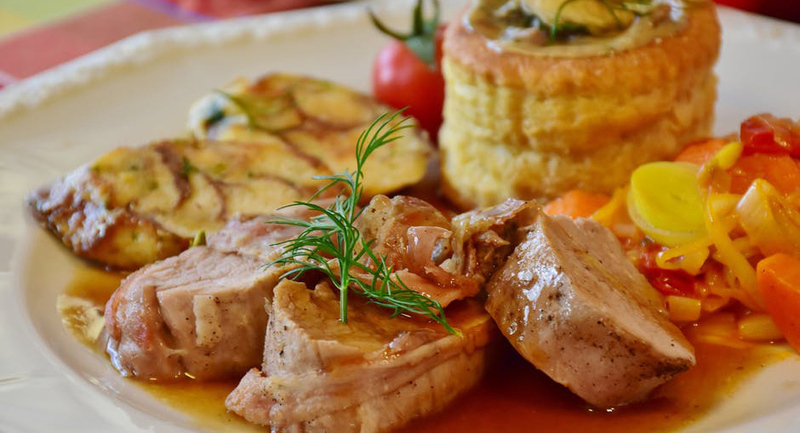 We’ve been told all these years that rich, fatty foods like duck were bad for you. Well, the nutritional experts and medical establishment deserve a paddling, especially considering the recent revelation that for decades the sugar industry has been paying researchers to shift the blame for America’s health issues onto fat. I don’t know about you, but I like my conspiracy theories with a crispy skin and a hint of rosemary and garlic. So, let’s talk about duck. Did you know that at 132 calories for a 100-gram (3.5 oz.) serving, skinless duck has fewer calories than roasted chicken breast (195 calories)? And it’s all dark meat, so no more dry, flavorless chicken breast. That means you can indulge in some of the delicious skin, guilt-free. And if you do, no need to worry … it’s flush with over two-thirds unsaturated and monounsaturated fat, the good stuff. Of course, if you’re counting calories, take it easy—it’s 130 calories in a half-ounce; about the same as coconut oil, but with half the saturated fat. Which is why using duck fat in cooking or baking is such a treat. Like coconut and palm oil, it’s solid at room temperature and has a relatively high smoke point. It makes a crispy, flaky, and tender pastry or pie crust. It does add some flavor of its own, so team it with less delicate fillings like apples, cherries, pumpkin and pecan, or any meat-filled or savory pies and tarts. The easy—and sublime—food that usually converts the masses is potatoes roasted in duck fat. Truly a wonder, this recipe is easy, especially if you buy the fat by the jar. (But don’t let us stop you from rendering your own!) 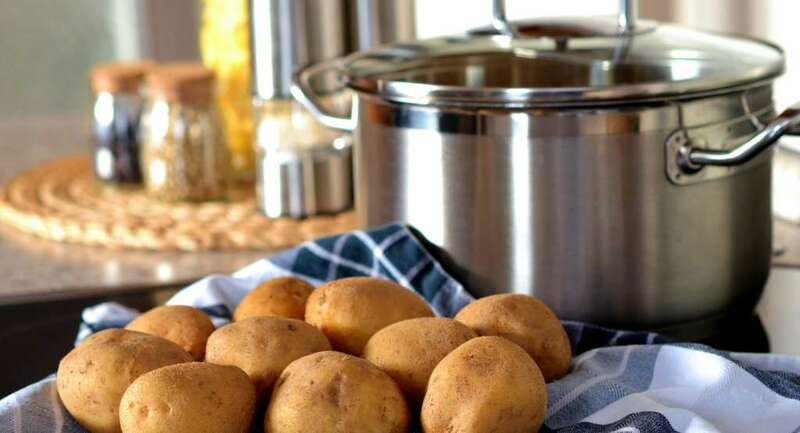 Just get the smallest Yukon Gold or other yellow-fleshed potatoes you can find, simmer them for 10 – 15 minutes in boiling, salted water until tender, and let rest until cool enough to handle. Then squash them a bit, spread them on a rimmed baking pan, and drizzle them generously with duck fat. Add rosemary and garlic, salt and pepper to taste, and give them a good toss. Let them roast for 20 minutes while you prepare the rest of your dinner. Flip them and cook them an additional 8 – 10 minutes, and serve them hot with your entrée. You and your guests will flip, too, if this is the first time tasting them. So, join the cooks, bakers, and chefs who flock to the market these days to reacquaint themselves with this great American tradition—whether by way of France, China, or Long Island—and treating a new generation of food lovers to that majestic prince of fowl, the Pekin duck.